Our innovative high performance plastics are developed to meet a wide variety of technological challenges in automotive. Browse these pages to learn more about how our industry experts, scientists and engineers work hand in hand with our customers to develop next generation solutions. 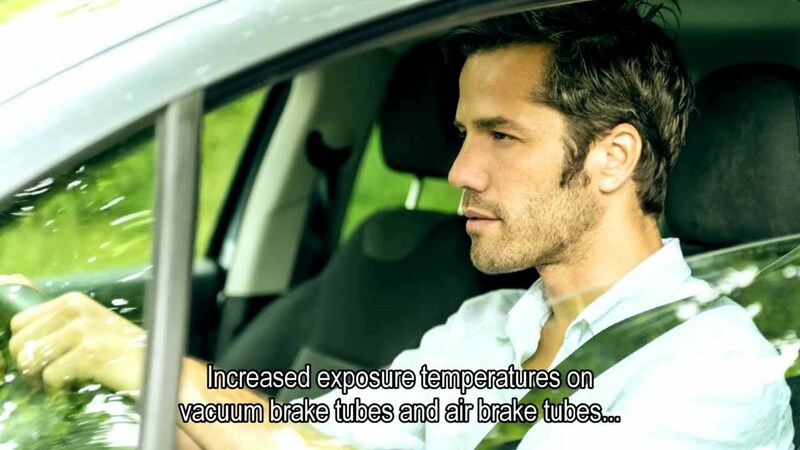 Safety is the number one consideration in the automotive industry. For more than 20 years, DSM has worked to develop a range of materials for automotive applications that perform more reliably and longer than metals and most plastics, while also delivering commercial, environmental and design benefits. As the heart of the braking system, the brake booster valve body needs to operate faultlessly and reliably for the lifetime of the vehicle. Arnite® A helps customers make that happen. This thermoplastic has proven itself effective over 20 years without a single reported fault. Today, it is used in more than 300 million vehicles worldwide. Ideal for the challenging temperature ranges of under-the-hood (UTB) applications, the material is resistant to grease, oil and other corrosive engine fluids, while performing well at both low and high temperatures. New materials are needed to meet the increasing demands for systems like vacuum and airbrake tubes. Arnitel® delivers. This thermoplastic copolyester (TPC) is ideal for polyamide 12 (PA12) replacement in brake tubes, performing in the toughest conditions without the need for plasticizers. This makes for greener, faster, and more cost-effective production with fewer chemical additives. With our broad, high-quality materials portfolio and in-depth technology know-how, we work in close collaboration with customers to develop new applications in response to the search for lighter, stronger and more durable materials. Here's a selection of some of our most recognized brands and products, keeping you ahead of the curve and enabling you to lead the market through the use of cutting-edge technology. Increased exposure temperatures on vacuum brake tubes and air brake tubes induced by more stringent requirements on air pollution like Euro 6, paved a way for new high performance thermoplastics. That's what we deliver in the form of Arnitel® - a tough TPC ideal for PA12 replacement in brake tubes. Importantly, Arnitel performs in the toughest of conditions without the need for plasticizers-- which makes for greener, faster and more cost-effective production with less chemicals. We take a scientific approach to building solutions. Our dedicated teams work closely with our customers to look at the entire process of developing new parts and components – whether it is a case of metal replacement, or developing solutions that are stronger, safer and more effective. Our methodical approach extends to every step of the process, from design and material performance to production and compliance. As our economy places more focus on efficiency, industry is responding by creating products that are thinner, lighter, and smaller – with the same or more functionality. Plastics offer a solution that is lighter in weight than metal and rubber. In addition, plastics enable the production of parts with complex geometries, meaning its possible to convert a number of components into a single, simplified part. One of the most challenging environments we work in is under the hood of a car. The parts used in these applications are subjected to high temperatures, broad temperature ranges and corrosive chemicals. We provide 24/7 access to the products and services of DSM. Take advantage of all that we have to offer and register today!